Yesterday Instagram and Twitter played dueling releases: Shortly after Instagram announced a new iteration blocking Twitter access, Twitter formerly introduced its own filters for its mobile app. Today, that update was pushed to both Android and iPhone Twitter users. As expected (and explained by Twitter), users now have the option to use auto adjust, crop, as well as eight filters within the Twitter mobile app before pushing a photo live. 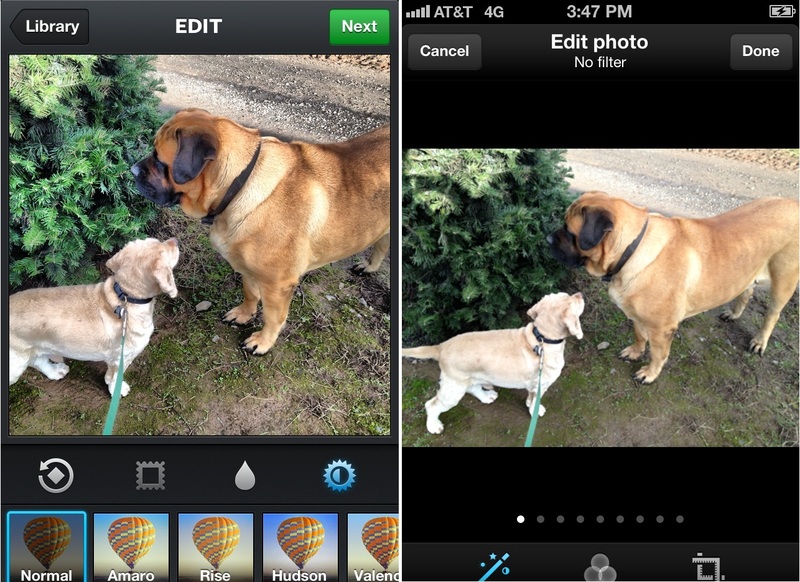 So how does the function compare to the photo-sharing app that rules them all? I won’t string you along: It doesn’t. You can see for yourself in the photo above and the rest below that Instagram boasts far superior results. 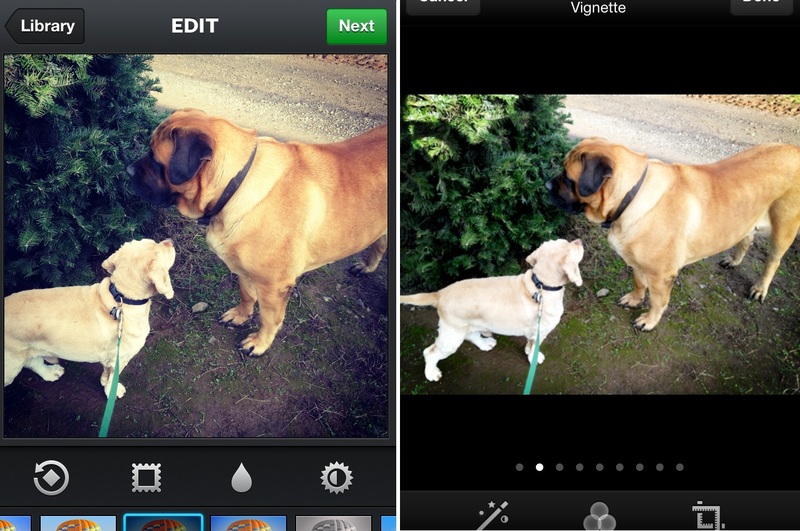 Up top, you’ll see the Twitter-filtered image at left, and the Instagram-filtered image at right. Let’s do a few more side-by-side comparisons. 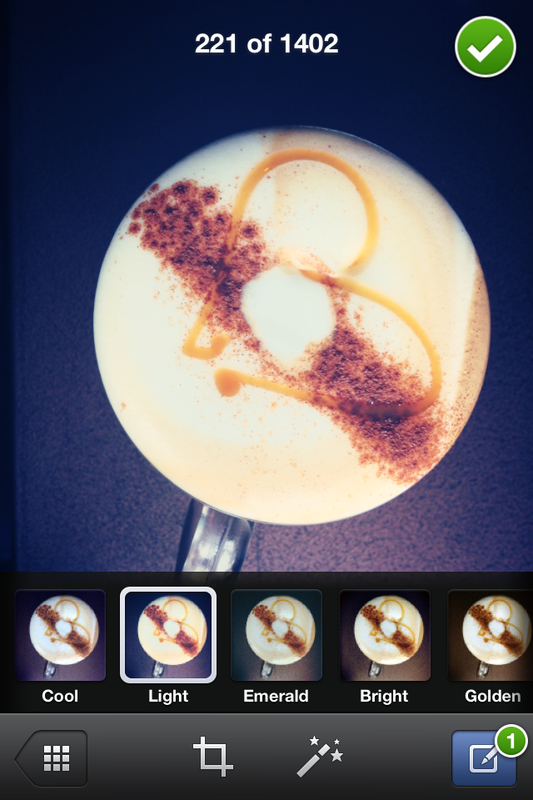 With Instagram, you can use tilt-shift, which adds depth of field to an image with blur. Twitter doesn’t have the feature. 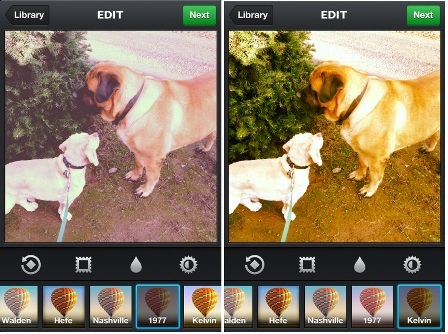 Hopefully, it’s obvious to you by now that Instagram has a far superior filtering app. Images are cleaner, clearer, more detailed … in short, better. It’s the same reaction we all had to the Facebook Camera app, and exactly what I worried about when news broke Twitter would be attempting this. Sure, the convenience factor is there; you can use fun filters and immediately send the content off with minimal steps. This is even more true now that Instagram and Twitter have so publicly parted ways. But that ease of use is what Twitter will have to bank this project on, because quality is not going to be it. Here’s a quick reminder of what the Facebook filters look like at right. It’s a frustrating end to a bitter tale between the two companies: For the foreseeable future, we won’t be able to view Instagram images on Twitter and there’s no comparable Web platform at our disposal. At the same time, the option available to replace this, the new filters from Twitter, are a poor substitute. I don’t want to beat a dead horse here, but it’s a clear lose for users. You could make the argument that filters are a feature not a company, but Instagram is clearly the exception to that rule. The community is there, and thriving, and while it might not experience the viral networking it formerly knew (which is a real disadvantage for everyone), the users aren’t going anywhere. On the plus side, while Twitter filters can’t hold a candle to what Instagram is capable of, at least we’ll have something to clean up the otherwise bland barrage of smartphone photos pushed to the site.